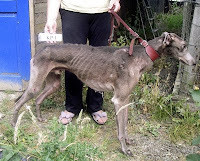 Your help is needed now to stop dog racing and we only have a few weeks left to do it. However, it is not in the form of an e-mail, SMS or petition but your presence is needed at a hearing to state your objection to the introduction of greyhound racing. The DTI is holding public consultations so that members of the public and interested groupings can submit their input. The process is neither confrontational nor a debate, and all that citizens are required to do is give their name, state whether or not they support greyhound racing, and why. Simply by attending the hearing nearest to them and participating in the process and saying NO to greyhound racing. In this instance as your presence and input are required inside the actual hearings to make a difference. The introduction to South Africa of abhorrent practices that surround this activity as they exist in other countries globally ultimately would result in enormous untold suffering and deprivation of welfare for thousands of animals in the future. Empirical research shows that the greyhound racing industry is in rapid decline around the world, for good reason, in that progressive societies are realizing the extent of cruelty involved in the sport, and thus a greater lack of support for the practice. Global evidence reveals that ultimately only a few interested stakeholders will profiteer enormously off the back of suffering not animal amongst the animals, but amongst the millions of impoverished citizens for whom gambling merely adds to their economic deprivation. If South Africa is to thrive both economically and as a prosperous democracy, both government and its citizens should be engaging in positive economic opportunities, not encouraging a lose-lose industry whereby both the poor and the animals will be the resultant casualties at the hands of a few profiteering opportunists. In so many other respects, South Africa continues to hold its head high globally for its extremely progressive constitution and democratic practices, which many fought and sacrificed so much in order to achieve. It would be a very sad day indeed if South Africa slid back to darker days involving oppressive practices that involve causal suffering, both economically and socially. As a country, we should continue to serve as an example to the rest of the world as a thought leader and that we reject all forms of regressive practices, however lucrative they are to a small pool of self-interested business proponents who have no self-regulatory system to combat welfare issues or concern for the poor.